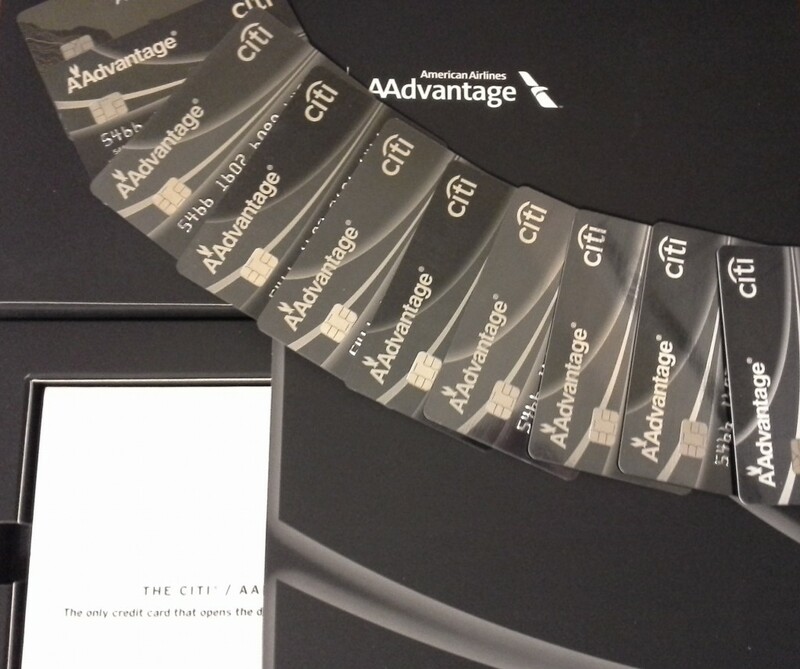 Just about a year ago, Citi gave us a perfect storm of offers with the American Airlines Executive card: a 75K miles bonus that then ballooned to 100K, statement credits that worked to reduce the annual fee, and best of all it was a churnable offer. Many of us got 5 or more. But a new wrinkle has surfaced in the past couple of days, and I’d pull your nearly-a-year-old card out of the sock drawer if you still have an Executive card from that offer! The statement credit on all of those offers was very simple, or so it seemed: you got a $100 (on the 75K) or $200 (on the 100K) credit towards your first $100 or $200 in purchases. So you opened a card or a few of them, and a statement credit showed up on your first statement as you were working towards meeting the minimum spending. It was a nice little bonus on an already-great offer. However, since January 1st, reports have been surfacing of mysterious new credits on these cards! It seems as though, for one reason or another, Citi has actually coded this statement credit to be an annual credit. Even better, it seems to be a calendar year benefit, not one you have to wait until your anniversary (with that fee you may have been planning to avoid by cancelling the card) to get them! All you have to do is use the card that initially had a statement credit as part of the offer, and it makes sense to go ahead and do so now while this unadvertised benefit may be working! Edit: please keep in mind that this is NOT a sure thing, and certainly not worth paying the annual fee for. Pam commented below that she has spent on her card during January and had her statement close with no credit. Your mileage may very well vary – It is Citibank after all! Yes, Citi still sends out these boxes! We wound up cancelling all of our Executive cards that had statement credit offers before January, and the only one we have was recently opened under the current 50K offer. You can find details on that one, and on churning it, in the same Flyertalk thread. If you’re new to this offer, I’d recommend reading the wiki in that thread as well as 10 or 15 pages starting with post #77 of the original thread. The only thing that has really changed over the course of the year is the offer specifics, from 60K to 75K and then 100K before falling back to 50K. If you have a card that had a statement credit offer and you spend on it and don’t see a credit on your next statement, by all means please let me know so I can update this post. But if you have one, I’d say it’s worth dusting off the card just in case! Well, you could get 20 now that it’s only half good! Really? The flyertalk wiki would suggest that churning them is dead. Churning is alive and well, as long as you use the link called ‘Option 2’ from that thread. The first $200 credit came after using the card, and we did not have to spend $200 to get it. The FT folks reporting getting it the second time did spend $200. Is it your understanding that we’ll need to spend at least $200 for it to kick in around the anniversary date? It looks like the credit is not more than the amount spent. I’m not sure at all what is triggering or will trigger it – such is life with the crazy institution that is Citi! I sock drawered 1 Executive card and randomly got a $100 credit this fall. I test this out too. Wife did use the authorized card twice on the 2nd and 4th. Will go ahead and buy a cup of coffee tomorrow and see what happens. This is the only Executive card (100K) that’s still open. Thanks for the tidbit. Awesome stuff as usual Kenny. We have 2 left so I will try this. Great tip about getting the 50k card too. My balance is pretty low, down to around 700K, so I need to beef it back up. ‘pretty low, down to around 700K’ – I love this game! Thanks, and good luck! Awesome. Just grabbed a few VGC. If it doesn’t work, I’m just out ~$8. Definitely worth the risk. Just bought a $205 Amazon gift card. Can’t really lose and will report if the credit posts. It did not work for me. I just got the statement and there is no $200 statement credit. I did spend more than $200 in January. I think this is another Bigfoot-like hoax. You might want to check out posts 8 and 9 on this thread over on the forum, where this blog post is also posted. One person had the credit post and then disappear?! Bizarre! If any credit is going to post, it should be on the statement date. From what I read, those getting the credit have spent it on airlines, not just general spend. So it may be similar to Amex Plat in that regard. No luck yet. Last statement closed Jan 2nd. Opened the card March 2014. I would consider keeping the card open if I get a $200 credit on the AF. I got a 33.80 credit on an AA purchase on Jan 5. Credit posted the following day. Statement closed the 8th and tried an Amazon GC for the remainder of the $200. That charge is still pending, so nothing has posted yet. No credit here either. I only had a $20 spend on the statement ending January 7th, a general spending charge. Too bad no credit. Ah well! In case anyone was still waiting to see if another $200 credit would appear…here’s my personal experience. Finally got my Feb statement today. This is my anniversary month. $450 annual fee is posted. There is NO $200 credit posted. So..at least for me…it’s no dice! Will call Citi to cancel and will try to use this $200 credit as leverage to keep me around. We’ll see. Has anyone tried this in this month after their statement with the annual fee to see if the credit appears on the next statement? I assume this would probably only be people that are keeping the card, since cancelling after 30 days would be cutting it close. Let me konw, I’m about to cancel! Datapoints on these credits are all over the map. Many people did get credits in January, many more did not. I think your best bet is to see what (if any) retention bonuses are available, and then decide what makes sense for you. Thanks. I am going to try to spend $200 on a second AA Exec card that hits the annual fee on the next statement. On the first one, I’m going to go ahead and cancel. I may try retention when I get down to my last one (3 in total). I received my first $200 statement credit in April 2014. After reading this post, I purchased a $200 American Airlines gift card in January 2015. I am happy to report that I just received a second $200 statement credit from Citibank this week. Although I’d made over $200 worth of generic purchases earlier in 2015, the credit did not post until I made the gift card purchase with American. Lori, dang it…I was all set to give up on this. Now you go and give us a glimmer of hope! How long between buying the $200 AA gift card and seeing the credit? Did you purchase the AA gift card directly from AA’s website? Anyone else have similar luck, or hear of such luck from other forums?